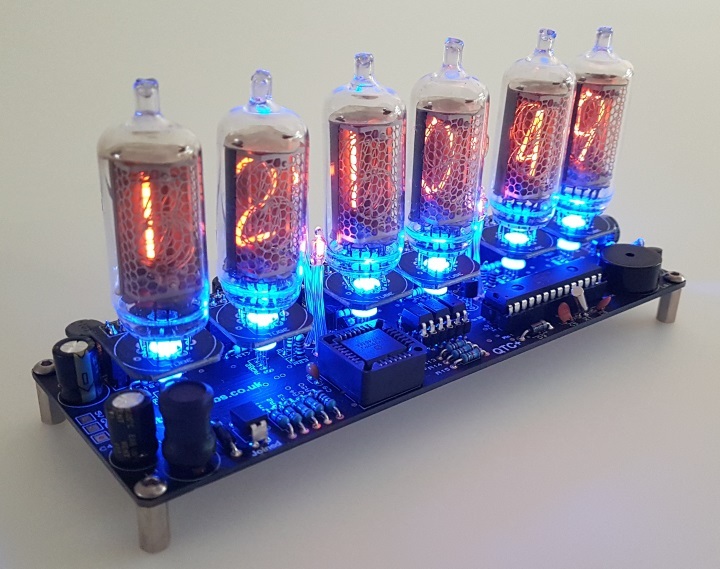 I was introduced to nixie clocks by a colleague at work and I was immediately intrigued by their retro yet sophisticated appearance. Two days later, I took the plunge and purchased a complete QTC kit with GNP7-A tubes and a nice black aluminium case. When my order arrived it was clear the quality of all components were excellent. The assembly insrructions are well written, methodical and as you test the power circuitry along the way it gives you extra confidence you are on the right track. I carried out the assembly over 3 days (total 7 hours), low & high voltage circuits (day1), tubes to removable headers (day2) and rest of main pcb components (day3). After this, it took another half an hour for case fitting and NTP time module configuration. The end result has exceeded my expectations, everyone who has seen it wants one and the thing has more configurable options than you can shake a stick at. Anyone with basic soldering skills would be able to complete this kit, however care should be taken with a few of the solder points which are close together. If you havent soldered for a while, it's a good idea to test your soldering iron on a practice pcb before you start. Also, make sure to use the older 60/40 solder as it has a lower melting point and is easier to work with than the lead free stuff. Other tools I found useful during the build were, helping hand, solder sucker, solder wick and a really good bench light. In summary, this is an excellent kit where the quality of the components are top notch. If you also factor in the easy to follow instructions, online live chat support (thanks Pete) its been a thoroughly enjoyable experience. I will be returning soon for more parts for another build.